Best Rescue Photo Software, recovering pictures in 3 Steps! Rescue Photo Pro is very popular in the photo recovery software market. With Rescue Photo Pro, there is no need to worry about how to recover the lost pictures or photos. Rescue Photo Pro is capable of recurring lost photos, undeleting missing pictures and formatted files in a few steps. No matter you are a computer novice or an advance computer user, Rescue Photo Pro presents you an easy-to-use interface. Rescue Photo Pro plays important role in photo rescue market. This tool performs recovery on all forms of memory cards including SD, XD, SmartMedia, Compact Flash and Memory stick. Nowadays, more and more people are crazy about taking photos with digital cameras. With the widely use of digital products, the requirement for recovering photos increases rapidly. With Rescue Photo Pro, there is no need to worry about how to recover the lost pictures or photos. Rescue Photo Pro is capable of recurring lost photos, undeleting missing pictures and formatted files in a few steps. No matter you are a computer novice or an advance computer user, Rescue Photo Pro presents you an easy-to-use interface that you can recover your pictures quickly. Rescue Photo Pro can be your best choice to rescue deleted photos because this tool provides easier interface to its customers. It applies advanced disk scanning technology to completely scan and recovering pictures, videos and other media files. With the help of Rescue Photo Pro, you can recover formatted photos in only a few minutes. 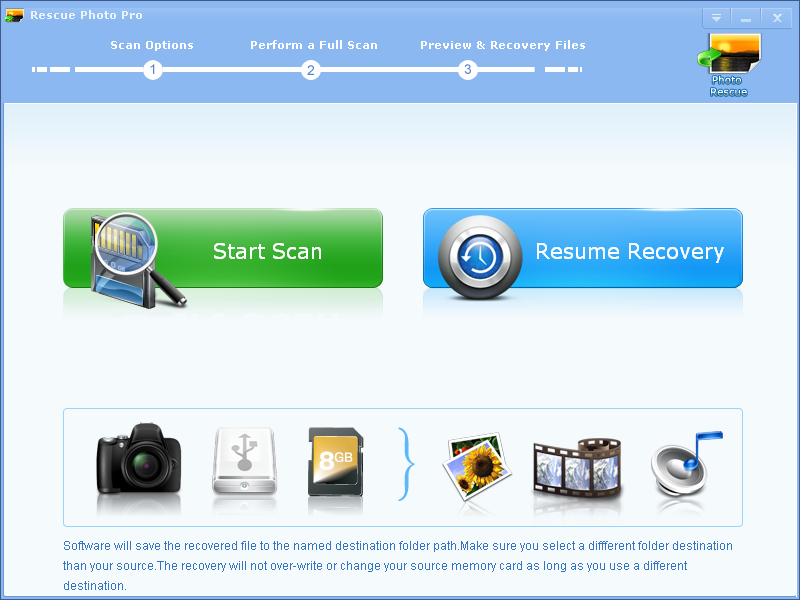 Furthermore, Rescue Photo Pro presents powerful features compared with the other recovery software. It is designed for people to see thumbnail display of recoverable photos or files. Batch Recovery is used to retrieve multiple files at one time. Safe Recovery is created to recover deleted photos safe and sound. It is observed that Raw Recovery is the most advanced feature of the software, which strongly proves that the software supports more than 100 different file types. The video file formats supported by Rescue Photo Pro includes AVI, MP4, MPEG, 3GP, AVCHD Video File (MTS), Matroska Video File (MKV), MOI Video File, Divx Encoded Movie File (DIVX), Video Object File (VOB), OGG Media Player (OGM), ASX, 3G2. 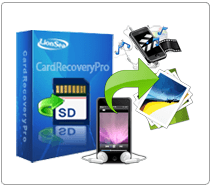 * Rescue Photo Pro will undelete all type of photos from your SD card or disk.